The Cockapoo and Aussiedoodle are two mixed breeds that are both very intelligent family pets. 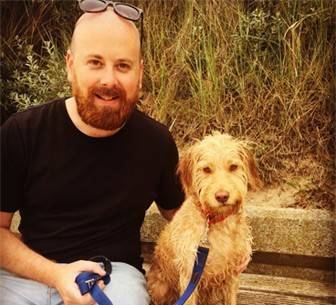 In terms of personality, these two adorable pooches are quite similar. So what are the differences between a Cockapoo and Aussiedoodle? Read on to learn more about these crossbreeds. As a frequent visitor of our website, you will know that a Cockapoo is the puppy of a Cocker Spaniel parent and a Poodle parent or of two Cockapoo parents. An Aussiedoodle is also a mixed breed poodle, a mix with Australian Shepherd heritage. An Aussiedoodle is also known as an Aussiepoo. Like any mixed breed pup, you won’t know for sure what they will look like until they are actually born. Both Cockapoos and Aussiedoodles can take the physical traits from either parent. So, to compare the appearance of the Cockapoo and Aussiedoodle, let’s take a look at the broad and general figures. For a more precise estimate, you will need to talk to the breeder and find out more about the parents. The Aussiedoodle is not a small dog. The average weight for an Aussiedoodle ranges between 25 to 70 pounds with a height of around 10 to 15 inches, depending on how big the parents are and which type of poodle she was bred with. The size of a cockapoo will really depend on the poodle heritage. A Cockapoo with a Teacup Toy Poodle parent might not even reach 10 inches in height and only weigh 6 pounds while a Cockapoo with a Maxi Poodle parent can be as tall as 15 inches and weigh up to 20 pounds. The weight and size of an Aussiedoodle is usually comparable to a standard poodle. Take a look at the parents of the Cockapoo to have a better indication of whether the Cockapoo will be smaller or similar in size to an Aussiedoodle. The colouring of their coat and how curly it is can vary between pups of the same litter. In general though, both Cockapoos and Aussiedoodles will have a medium length wavy coat. Common colouring for Aussiedoodles is black, brown and a mix of both while Cockapoos tend to have softer blond, cream and brown coloured coats. In terms of shedding, you will have less work on your hands with a Cockapoo then an Aussiedoodle. Though even a Cockapoo requires regular brushing and occasional trims, Cockapoos still need less grooming than Aussiedoodles. Aussiedoodles have inherited shedding from their Australian Shepherd parent. Aussiedoodles require daily brushing and regular grooming, with special attention to their fragile nails. If you are looking for a low maintenance dog than neither the Cockapoo nor Aussiedoodle truly fits that description. Both mixed breeds require you to pay attention to their grooming on a regular basis. Keep in mind that their grooming requirements will also depend on which characteristics the pup has inherited. If the Aussiedoodle has inherited the long coat of the Australian Shepherd then you might need to trim the coat more often than when the pup has the tighter curls of a Poodle, for example. 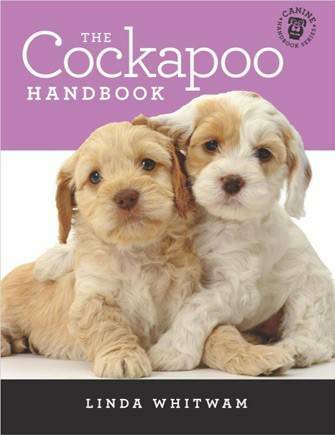 Cockapoos and Aussiedoodles are both highly intelligent dogs that are eager to learn and please their human. You won’t have too much difficulty teaching either dog all the basic commands and then some. The difference in obedience between Cockapoos and Aussiedoodles is that Cockapoos will do tricks mostly to please their human while Aussiedoodles really enjoy being put to work. In other words, you will need to be more proactive with keeping an Aussiedoodle busy than a Cockapoo. Aussiedoodles take after their Australian Shepherd parent in the way that they are working pets. Aussiedoodles are happiest when given tasks throughout the day. Make sure to offer an Aussiedoodle enough mental stimulation or they will become restless. We all know that a restless dog can be up to mischief so keep them busy and socialized. In contrast, a Cockapoo has no problem with being your companion on a lazy day. Cockapoos easily adjust to their environment and will fit into many different lifestyles. Cockapoos are very obedient dogs. As long as you let your Cockapoo get used to strangers and other four-legged buddies from when they are a puppy, then you should have no behaviour issues. Both Cockapoos and Aussiedoodles are energetic dogs but the Aussiedoodle especially, is in a league of its own when it comes to vigour. Where Cockapoos will be just as happy cuddling on the sofa, an Aussiedoodle needs plenty of exercise and stimulation. Aussiedoodles are the best addition to an active family home. They will need several hours of walking and playtime every day to stay satisfied and happy. Aside from long walks, teaching your Aussiedoodle plenty of tricks will also help. The tricks offers mental stimulation while also letting him wear himself out. The Cockapoo, on the other hand, will adjust to your lifestyle. If you enjoy hiking or running around the park then a Cockapoo will be more than happy to follow you around. However, Cockapoos are just as satisfied in an apartment in the city where they have to entertain themselves while the boss is at work. Consider how much open space you have and how active you are when deciding between these two dog breeds. If long walks and games is not your thing, then you will need to get a dog that doesn’t have a lot of energy and exercise requirements. Cockapoos and Aussiedoodles are both very lovable dogs. They are loyal to their family and make for great companions. The question is what kind of companion you are looking for. If you want an active dog and don’t mind grooming duties, then Aussiedoodles are fantastic. If you need a more flexible dog with only average grooming then the Cockapoo might be more suitable.